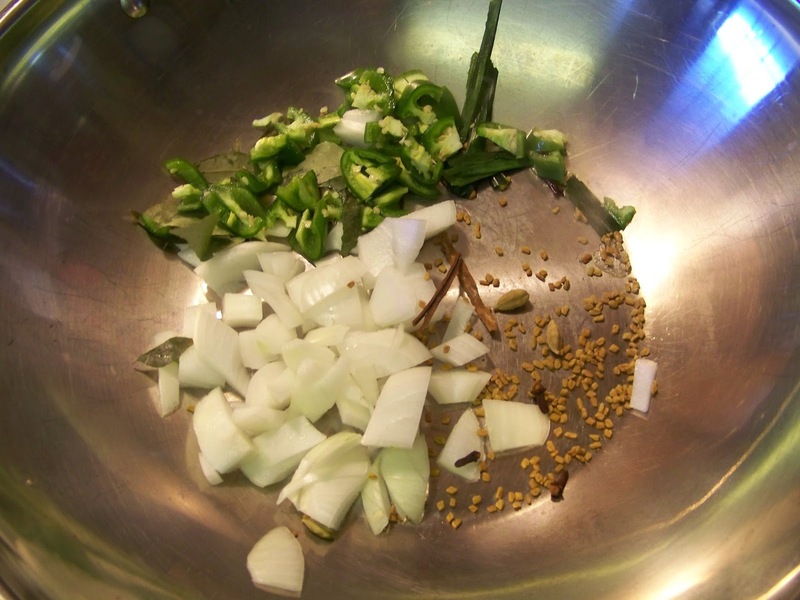 I love to cook, but there are a few things that come with cooking that I don't particular enjoy. I don't like to do dishes... raise your hand if you do. I don't see too many hands out there, ha! ha! The other thing I don't like is to cut meat. My husband and son have to have some sort of meat with their meals, so the fact that I don't like to cut meat isn't an option when it comes to cooking a meal they will enjoy. So, what do you do then? I turn to ground meat of course. 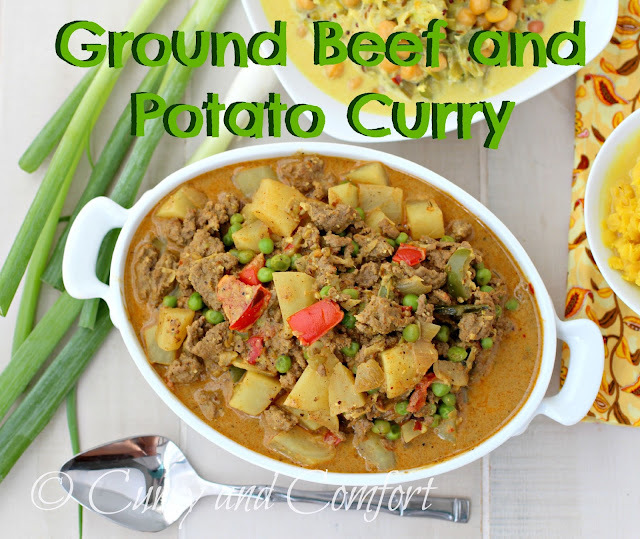 I made this Ground Beef and Potato Curry one Saturday for a rice and curry lunch with the family. 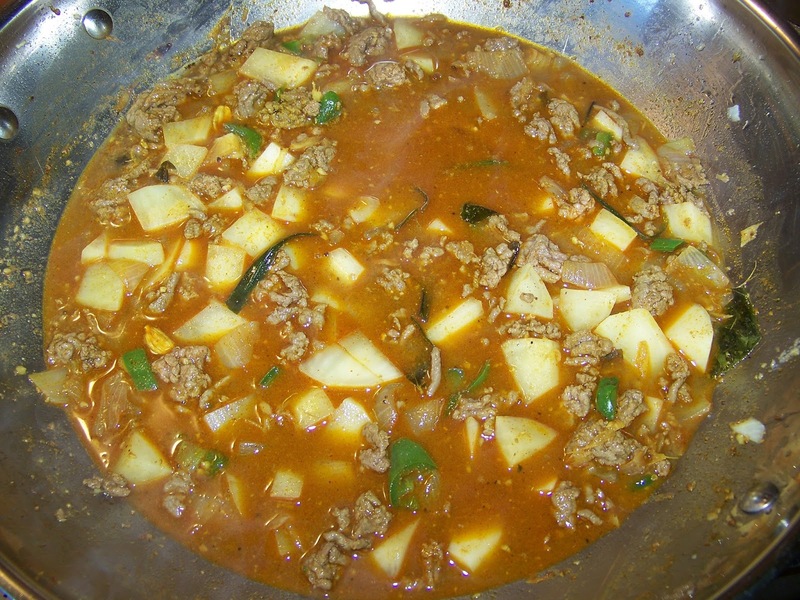 This curry came together quickly and the hardest part was peeling and cutting the potatoes so that's not too bad at all. My kids really enjoy eating ground beef as well since it's kind of like a sloppy joe in curry form. 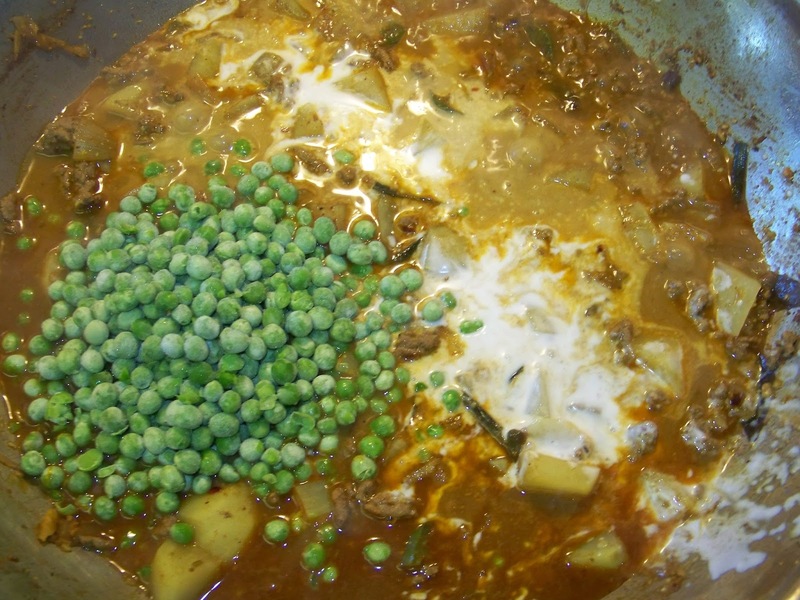 I also added peas and a few fresh diced tomatoes at the end of the curry to give a little pop of color and texture. 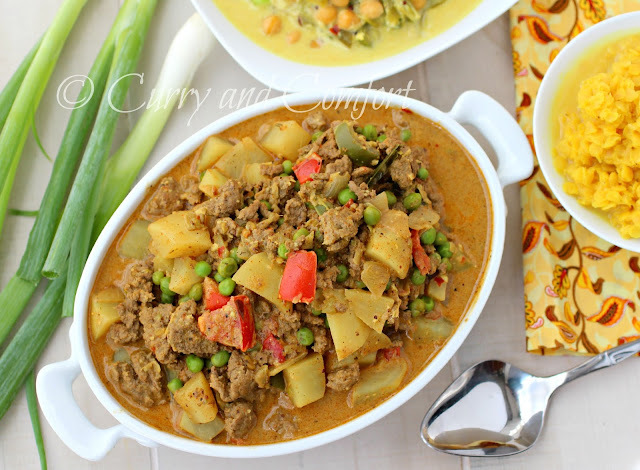 This curry went great with our rice and curry lunch, but it also made great leftovers with some grilled naan and a fried egg for lunch the next day. In a large pan add 2 Tbs canola oil and saute the onions, green chili, cinnamon stick, fenugreek seeds, cardamoms, cloves, curry leaves and pandan leaf for a minute. 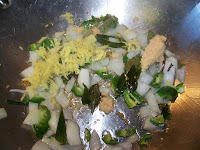 Then add the ginger, garlic and some salt and saute for another minute. 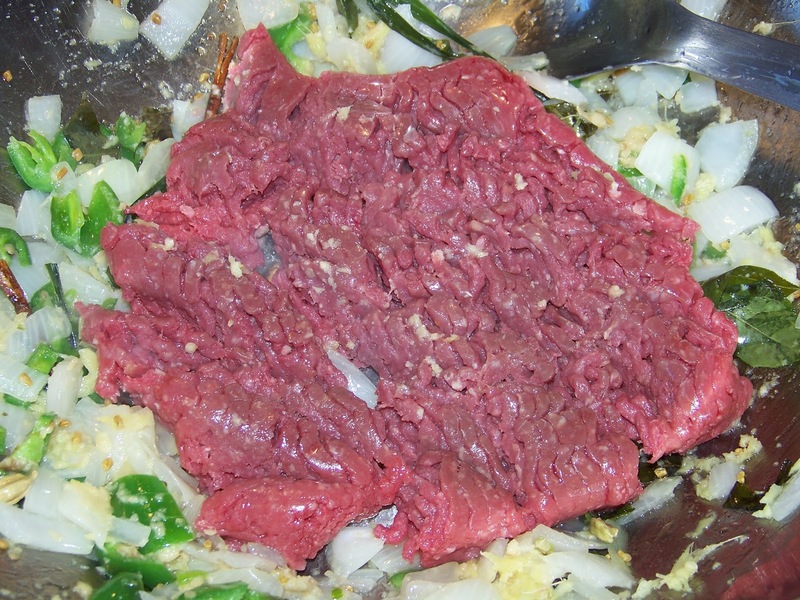 Next add the lean ground beef and salt. 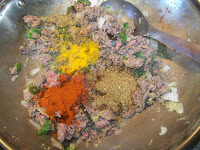 Brown the beef and then add the curry powder, turmeric powder and ground red chili powder. Next add the peeled and diced potatoes and saute a minute with the beef. Then add the water (enough to cover the potatoes) and the vinegar. 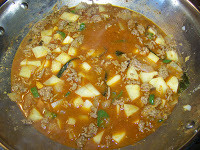 Lower heat to medium and simmer for 15-20 minutes until the potatoes are fork tender. 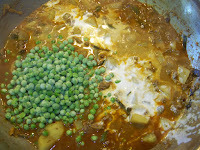 Finally add the frozen green peas and coconut milk. 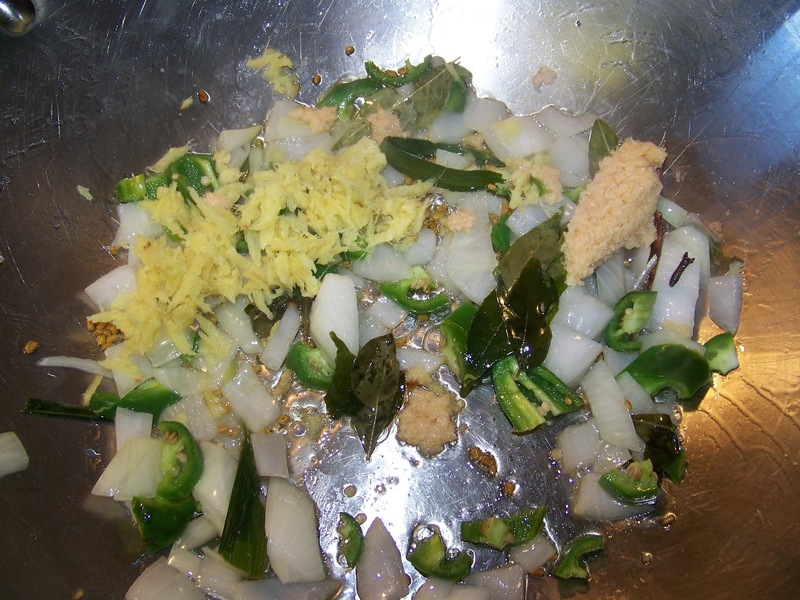 Simmer for another 2-3 minutes and taste for salt and seasoning (adjust as needed to your taste). 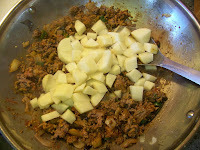 Add the diced tomato in last before serving (this is optional). 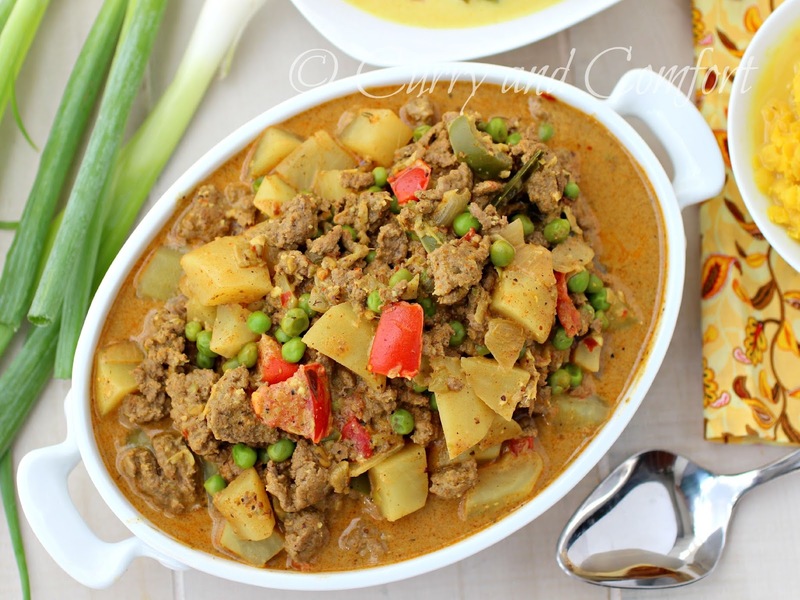 Serve with rice and lentils or with naan/roti. Enjoy. Cutting meat isn't my favorite these days either because I need to have my knives sharpened. Meat and potatoes meals always go over big with Mr. Sweets so I know he'd like this one. Me too!